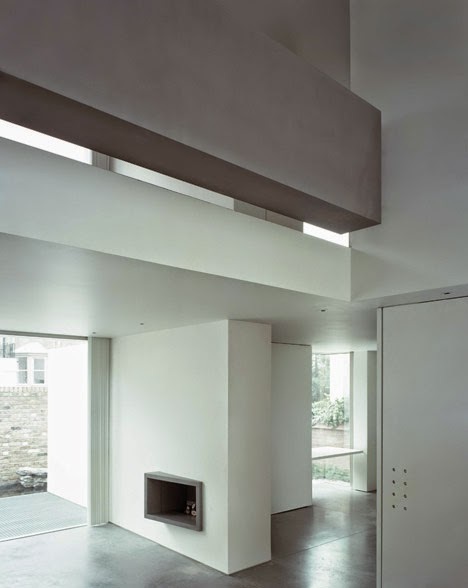 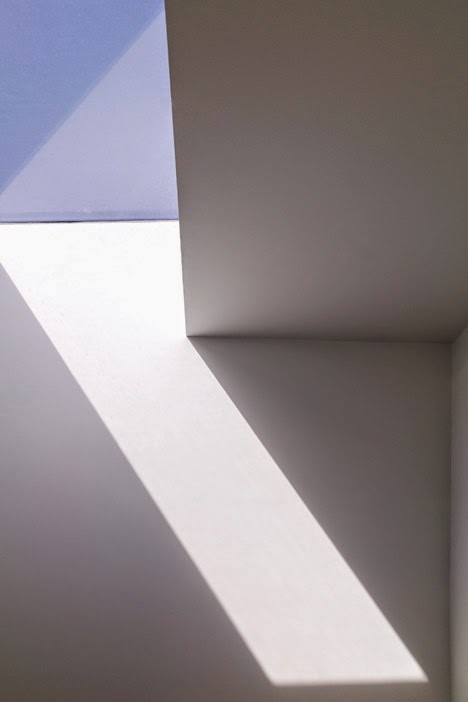 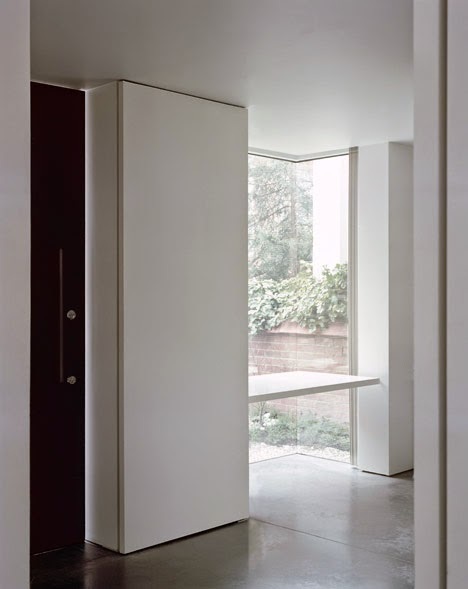 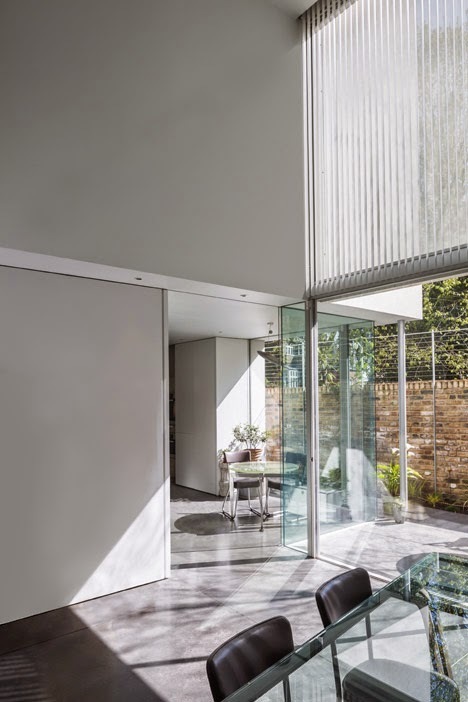 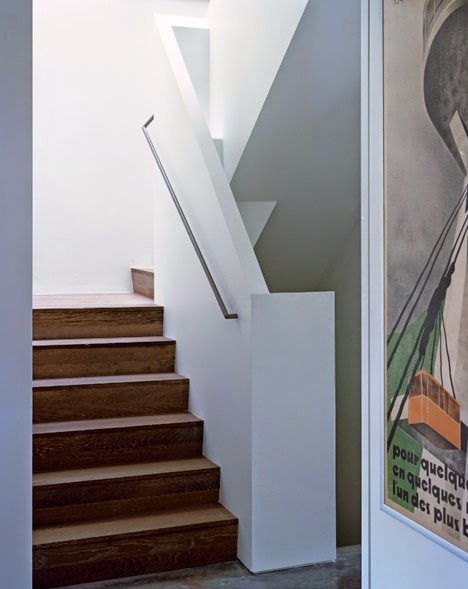 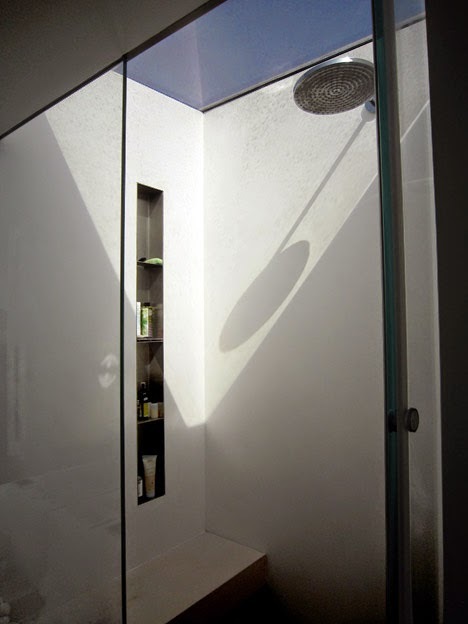 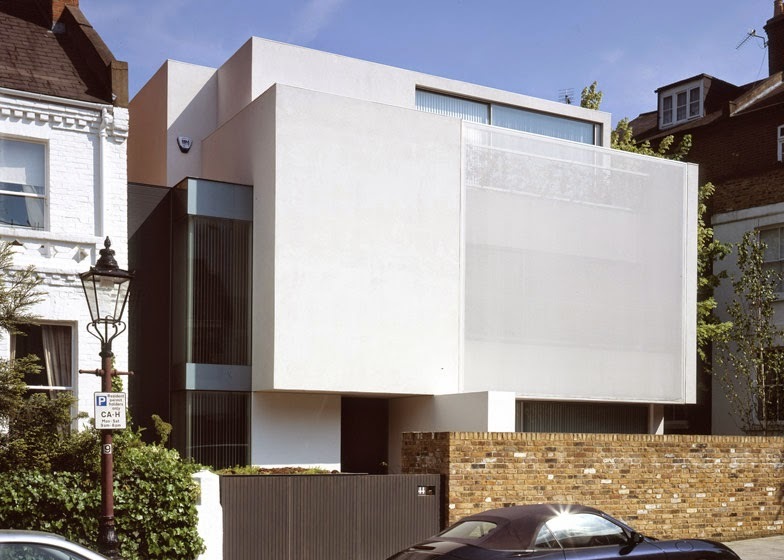 London firm Guard Tillman Pollock designed this minimalist white house for an artist in north London, featuring a painted fabric screen as a second fadace in front of windows and balconies. 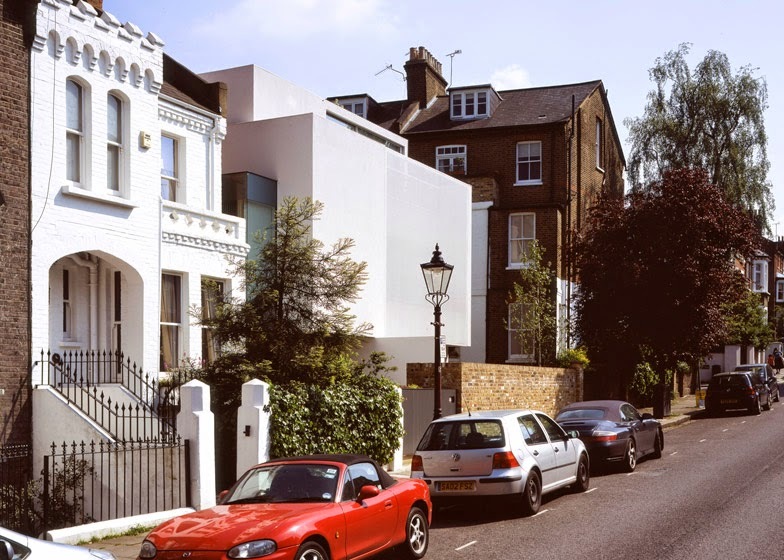 The house takes the place of a pre existing building on the site, maintaining the size of its predecessor due to planning regulations. 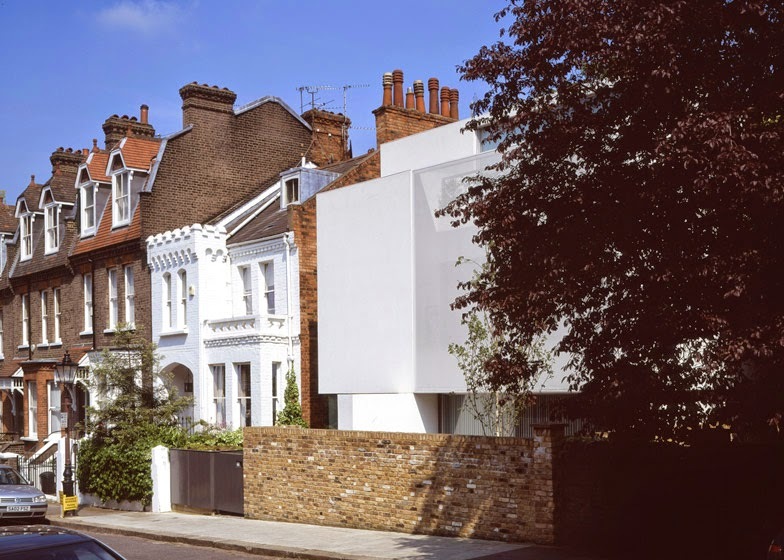 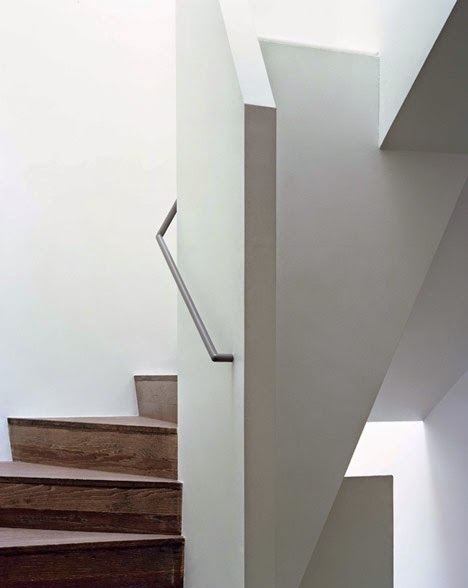 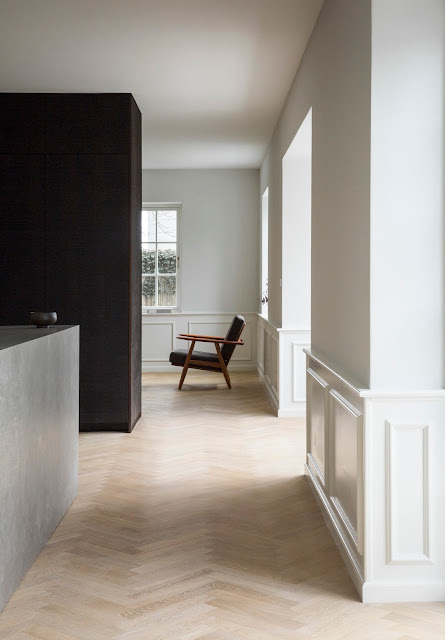 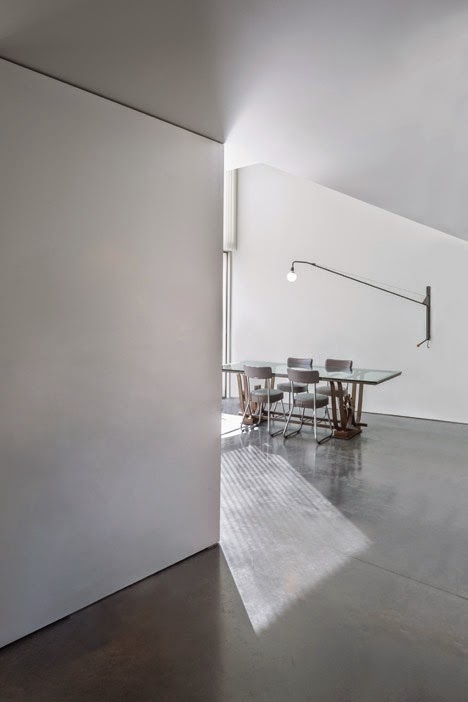 The simple white cubic shape of the new house references the modernist buildings in the area. 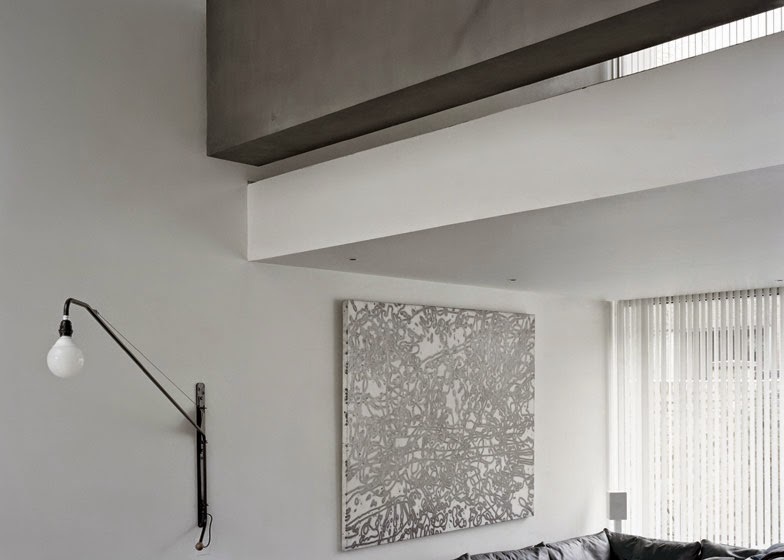 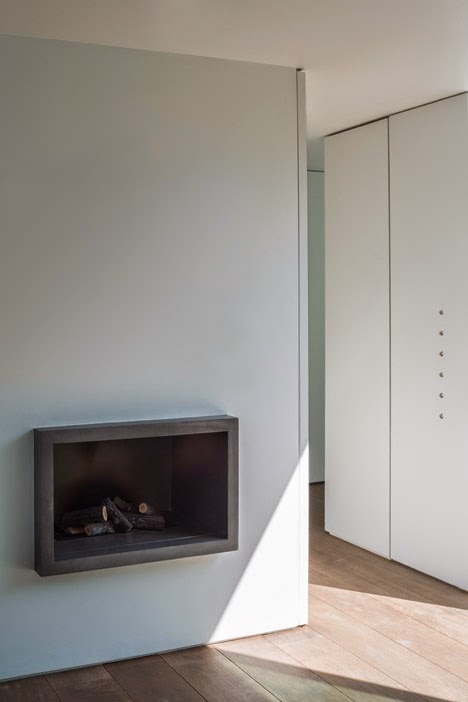 The minimalist all white interior provides the perfect backdrop for the owner's collection of pieces of art and mid century furniture.